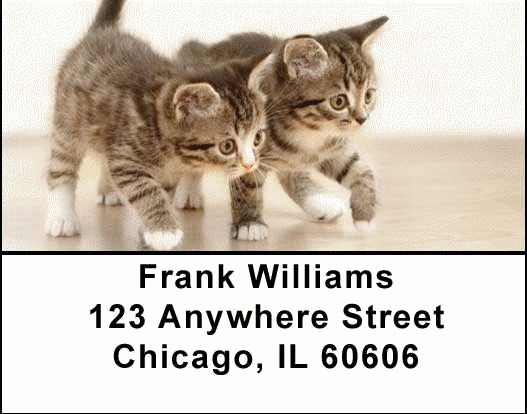 "Cute Kittens Address Labels" product is already in your cart. Cute Kittens Address labels feature four images of these adorable, cuddly, and mischievous animals that win hearts across the globe. Newborn kittens rely on touch and smell because their eyes remain closed for the first 7-10 days. Until they are about 3 months old, kittens don't see very well since their eyes are still developing. Cute Kittens Address labels are self adhesive. Matching checks are also available.